Preheat oven to 350 degrees. In a large bowl, mix peanut butter, brown sugar, egg and vanilla. Line a cookie sheet with parchment paper. 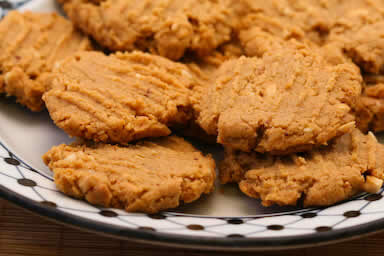 Drop peanut butter dough by rounded teaspoons on to the prepared baking sheet being sure to leave room for cookies to spread. Bake for 8 - 10 minutes or until golden brown. Magickally peanut butter brings prosperity, the egg binds it together with growth and fertility energy. A great treat to share for wealth and growth rituals.